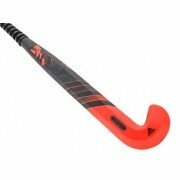 You will be hitting the ball so cleanly and purely with our fantastic range of Hockey Sticks brought to you by the biggest brands in the game such as Adidas, Grays, Kookaburra, TK, Gryphon and Dita. The Hockey stick that you need can usually depends on what position you play and what style of play you offer. At All Rounder Hockey we find that Adidas Hockey sticks are preferred by professional Hockey forwards. Adidas have a wide range of hockey sticks for forwards, offering lightweight pick-up, giving optimum speed through the ball. The Adidas DF24 range is a specialist hockey stick model, which favours drag flickers, and is an extremely popular hockey stick for international players in attacking positions. 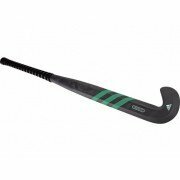 Another popular hockey stick brand for forwards is Grays, who offer the GX10000 that is a great lightweight, powerful hockey stick that is commonly used at elite level hockey. However if you are an attacking hockey player or a forward there are a few things you are going to want in a Hockey Stick, no matter the brand. Adidas provide the hockey stick most used by international midfielders in 2017 with Grays also being a popular brand, and in particular the GX7000 model being the most used hockey stick by pro midfielders. 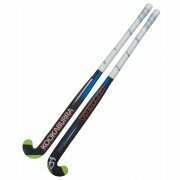 Kookaburra hockey sticks are also commonly used providing reliable all round hockey sticks. 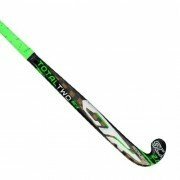 These brands have a large range of high quality hockey sticks that cater for the needs of midfielders, so there is no wonder that they are popular products are All Rounder Hockey. Weight-wise, a middle of the range hockey stick is preferred by most midfield players. Super light hockey sticks like the ones a forward may use may be too brittle to cope with the robust nature of Midfielders. You need something solid in your hands for tackles, but not too heavy like a defensive stick as you will need to do some quick dribbling and you want your stick to be agile. Grays hockey sticks are the weapon of choice for most international players in defensive positions. This is not surprising as Grays make a vast range of solid hockey sticks with great head power due to head shape and weight balance. Adidas also produce some fantastic low bow hockey sticks that are perfect for overheads up the field, sending the ball into attacking area. A lot of defenders prefer slightly longer hockey sticks for the extra reach when tackling, as well as slightly heavier hockey sticks for greater hitting power. Power is helpful for big hits out of defence when you want to clear the ball quickly, a medium amount of carbon in a stick can help this out but not too much that you end up not having the shock absorption that you need when tapping that is provided by the fiber glass and Kevlar mix. Also Grays have released the NEW GR 1100 Jumbow for the new season which is made up of the finest Graphene, Carbon and Aramid known to man to give you that solid edge and with an Extra Stiff Rating you are sure to have all the power and more you ever required from your equipment. All of our items are delivered for FREE and we offer Finance on shopping carts over £250.